What would it mean if you could create a site, that’s pretty hands off? Where content and outsourcing plays a large roll? A site that will slowly grow over time, like my 7 year old says “like the snail slow and steady wins”. This has certainly not been a race, but with consistent growth in rankings, traffic and sales this site, is a “winner”. 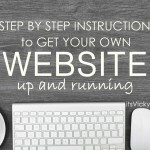 You can do the same thing, create a “winning” site. 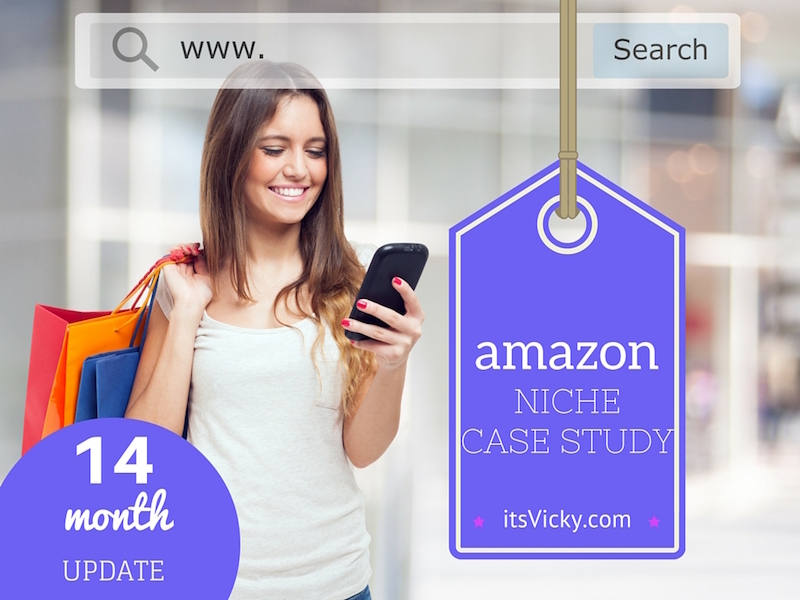 I share my ups and downs, what works and what doesn’t in this Amazon Niche Site Case Study. A site that is build on mainly outsourced content, to make it as hands off as possible. 1 Year mark of the site. Find the Latest Case Study Updates Here! This is very exciting progress, since a lot of the keywords that rank organically are ranking for pretty seasonal keywords. I’ve been working on content (or rather my writer has) that are non seasonal and I’m glad to see that the growth is continuing. My main traffic comes from organic listings, so it’s important for me to keep an eye on the ranking results and the way they change. This is not something I dwell on daily but I do check in to see that the overall picture is inline with what I want to do… grow my rankings. I use SemRush to check my rankings, a reliable tool that’s easy to use. There was a Google Adwords update in February. This was a paid search update but it affected both paid and organic results. Not sure if this had something to do with the big gain of keyword rankings in that month. Hey, I will happily take it no matter what caused it. The site is gaining rankings a positive trend that I’m happy and excited about. The number of sales as well as the total sales amount is increasing each and every month. 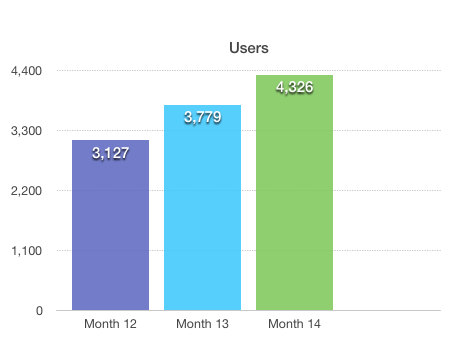 I’m excited to see that the site made more in the last two months than I did the previous 6 months before that. Again we are slowly growing, we are slowly making progress and making more money. Exciting things ahead for this site! Non Seasonal High Ticket Sub Niche – I have just started to work with a non seasonal niche, with high ticket items. 1.I want to make sure I have a site that generates good traffic, growth and sales all year around. 2. High ticket items will bump up the revenue. Most items recommended today are products under $100, many around $50 which is great because conversion is good. But making $3 – $5 per sale, well let’s just say it’s more exciting if those numbers are higher. In comparison promoting a product that is $1500, you will make over a $100 per sale with a 7% commission. My goal is to have a good mix of low and high ticket items to recommend. 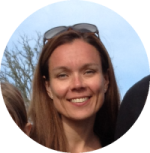 Product Review Writer – In addition to my content writer I hired a writer to focus on product reviews for me. It turns out it’s not the one I’m looking for so my search will continue. 3 Articles Weekly – Right now I’ve been submitting between 2-3 outsourced articles weekly. I want to continue to submit 3 weekly articles and in the future maybe bump it up to 4. The site is growing on all levels, I can’t wait to see what it will do when the holiday season is here! 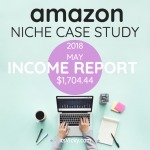 Do you have an amazon site? Please feel free to share your updates and your progress with it, would love to hear from you below in the comment section. Vicky, this is a great read. 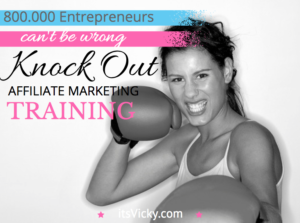 I read way too many articles that glorify internet marketing without offering any real numbers. It’s helpful to see how much you’ve made, and the time and money invested. 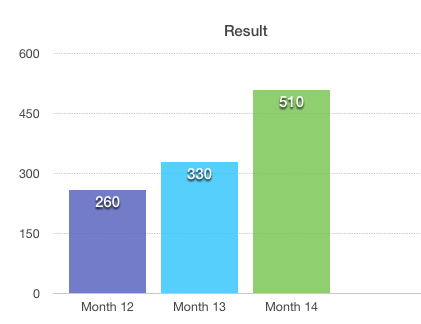 Exactly why I started this case study… So that others can follow along and get real numbers and stats. With that comes realistic expectations. 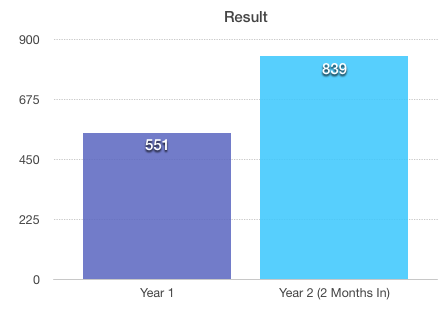 Imagine if I would have quit after 6-9 months because it wasn’t worth it… well this shows if you work with your site with long term in mind, great things can happen. Not saying the site is “there” yet, this site has a long way to go, but I see great progress and a bright future! I love this site and think it will be very helpful in my reaching my own goals quicker maybe. I have only been at this for about 3 weeks. I have not reached the point of adsense or any monetary product/service links as of yet. Your site is very encouraging for someone new like myself. Thanks for the information. Hi Vicky, Thank you for all this information. I have been looking for ways to earn money on the Internet now that my kids are a bit older and this seems like a viable option. It is great that you include all the real figures so we know what income and expenses to expect. I just wanted to leave this note before I go and check out all your other posts. Thank you for stopping by. 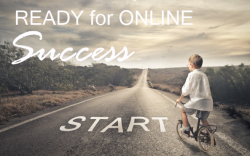 Yes, it is very possible to make a good living online. This is one of many projects that I have going. 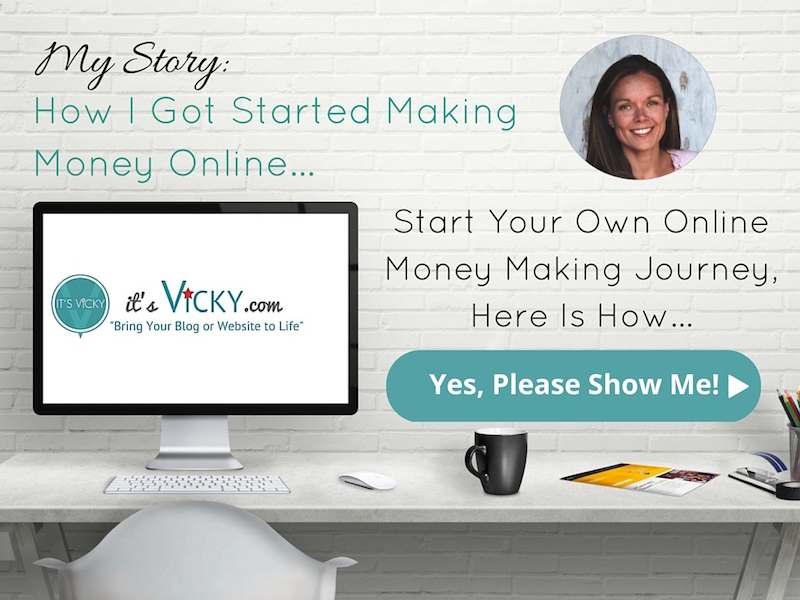 I want to give realistic expectations when starting out… it takes time to build something, specially when you do it with FREE organic traffic… but in the long run is it worth it? I believe so yes. Interesting read. It just goes to show how long it can take to get a decent amount of traffic to a site but it also shows that if you keep going, it will eventually pay off. Thanks for sharing. Since this site is built on FREE organic traffic from the search engines it will take some time to build. There are many ways that you can drive traffic and speed up the process, paid traffic, social media and so on. I wanted the site to be hands off so main focus was outsourced content. I’m ok with this building slow, it will pay off in the long run. It’s amazing that you’ve been able to build this with outsourced content! Wish you all the best in the future and I will be checking in on your progress, really excited where your site will land next! That’s what I love about the site… outsourced content 🙂 I’ve been so lucky to find a great writer with great expertise that’s really affordable. I’m really excited to see what this site will do in November, December this year, if it keep the same growth with a little holiday bump, it should be able to do pretty good! I’m so glad to chance upon your website. Amazon is certainly my topic of interest. Thank you very much for your sharing. It’s helpful and assuring. 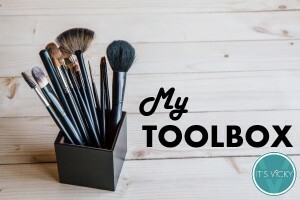 Do you have your own amazon site? How is it going if you do? Interesting read, I’m glad you showed us the results, especially as all of this comes from organically growing. This will keep me inspired for a few more months to know you can achieve results organically. Yes, growing traffic organically to your site can take some time but it is worth it in the long run! I love how open you are to sharing your experiences as a blogger. 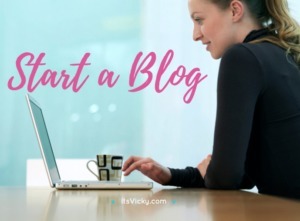 It really offers a great educational resource for someone like me, as I’m just getting started with my own blog. I’m excited to continue following your journey! Glad you enjoy the content, excited to have you join my journey! I followed through your Amazon site updates since month 3 and curious about how did you hire your writers. Do you use the same writer all the time? I’m a bit surprised that the article writing fee is so low, I thought it would cost at least $20 per article. Mind to share where did you hire your writer? Perhaps next time you can create a step by step guide on outsourcing blog content, author hiring tips, and such. I think that would be an interesting topic. I do hire my writers on an ongoing basis, I like working longterm with them. I use mainly upwork (former odesk) to hire people that I work with. Here’s a post on hiring writers, but a great idea to do a updated version.